Star Male aka T-28, a 12 years old tiger died at Ranthambore Tiger Reserve (RTR) in Rajasthan on Tuesday, March 20, 2018. Today morning, a tiger was reported by villagers when it was sitting an agriculture field of Chhan village in the Khandar area (periphery of RTR).On that information, the forest patrolling team was reached there and it was found still near the fencing of the field, and was surrounded by villagers. Due to the human area, the tiger was tranquilised and brought to Gudda forest area where he died at 1pm. 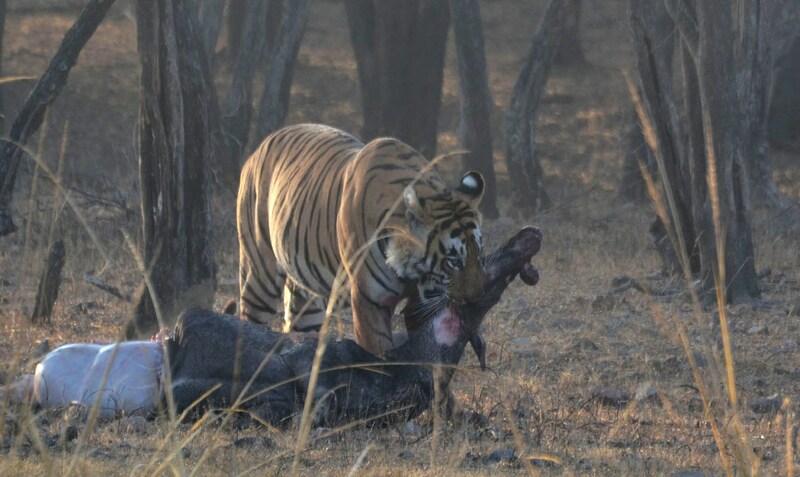 The post-mortem of the tiger was conducted as per the guidelines of National Tiger Conservation Authority.The post-mortem report revealed that it was suffering from gastric torsion in cardia (upper region). The 12-years-old tiger, T-28, popularly known as ‘Star Male’ or ‘Sitara’ in Ranthambore Tiger Reserve due to the Star-like marks over his eye. He was the litter of T-27- Gilai Sagar mother. The mother, T-27 gave birth to a litter of two male cubs namely the T-28 aka Star male and T-29 in 2006. After grew up as adult, T-28 had separated from his mother, T-27 and made his own territory. 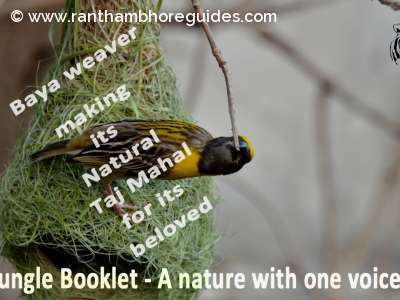 He was first sighted on 1st January 2008 in tourism area and gradually, he occupied large area of the park that included the entire lake area - Singh Dwar, Gular-Kui,Tamba-Khan,Lakkad, Dah-Mandoop, Lahpur, Chinnali, Gaandra Tiraha -Gudha, Nal-Ghati,Telan Pacheri acorss zone 2, 3, 4 & 5 and large part of non tourism area. Late, Star Male was doing spray marking at Gular kuee on 28 May,2016! He shared his territory with the two tigresses, T-19 aka Krishna and her sister T-17, Sundari, Both considered the queen of Ranthambhore in its prime time. T-28 probably fathered 6 cubs – six from T-19 (T-63, 64, 65, 83, 84 and 85). He showed himself as a good father, when he killed a big sambar deer and dragged the kill 30 meters where T-19 and her 3 cubs (T-83, T-84 and T-85 -when these were cubs more than one years old) waiting for the kill in zone no.3 on 6 Jan, 2015. As father left the kill under a tree, all three cubs started to eat while Mother and father were sitting right and left of the kill. In my experience, he was third best father after T-25 aka Dollar Male and T-24 aka Ustad in Ranthambhore! One of the best father, Star Male killed samabr deer and dragging it for his cubs! 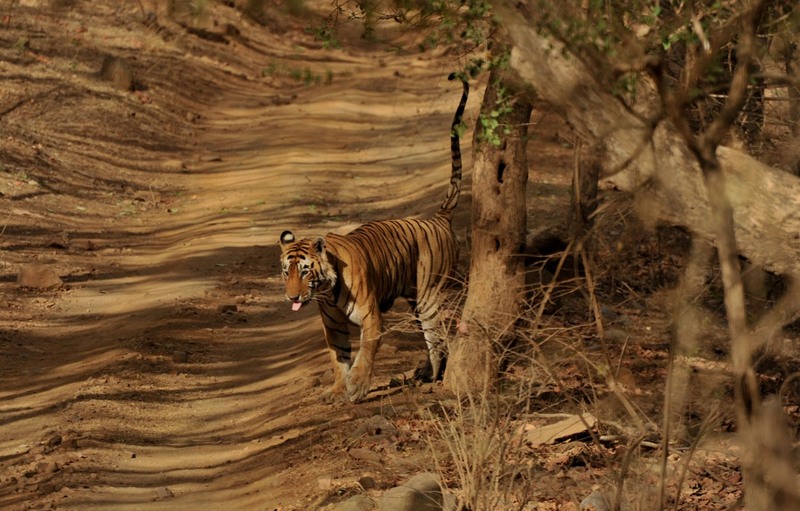 From 2008 to 2015, he occupied the large area of the park and popularly known as the King of Ranthambhore! After March 2016, the struggle about territory started again with new breeds! One territorial fight, he was injured severely and found in unconscious by forest guards while they were on patrolling in the park on 28 Nov.2016. Due to the patrolling, he got treatment in right time and right spot by the forest department. Now, he was quite old and could not struggle with new breeds. Therefore, he had to leave his prime territory from the park. In this sequence, he was sighted in periphery area while he was drinking water in a bowl on date 5 Jan.2017! Last time, he was sighted at Jamoda at cow kill in zone no.7 in tourism area. But, it seems that he was not able to stay there because of the dominant tiger, T-58 aka Rocky Male and he moved soon from there. It was his last sighting when he was sighted an agriculture field of Chhan village in the Khandar area (periphery of RTR) and left the world forever for greedy humans ! The Mega star of Ranthambhore died , its really big loss ! God bless Him! 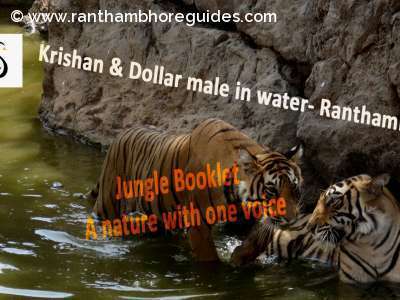 Very sad news from Ranthambhore!